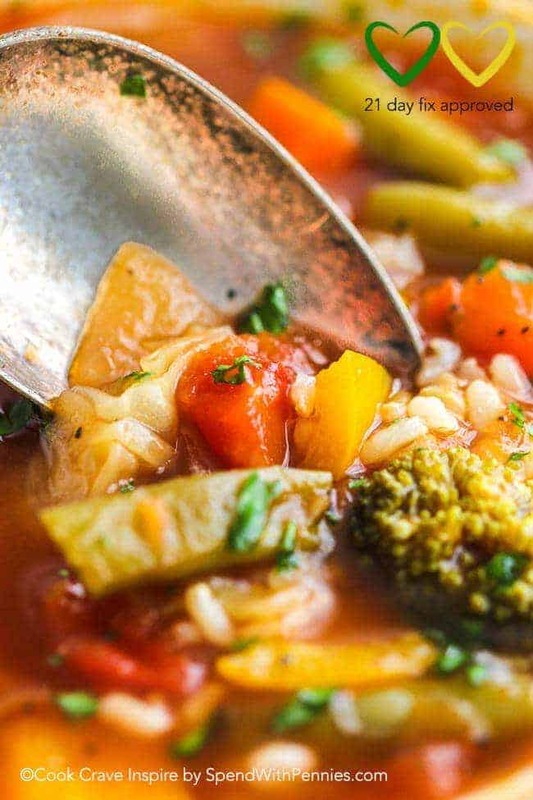 Vegetable Rice Soup is the perfect healthy lunch on any eating plan! This meal is loaded with fresh veggies and flavor. Pin it to your HEALTHY EATING board to SAVE it for later! 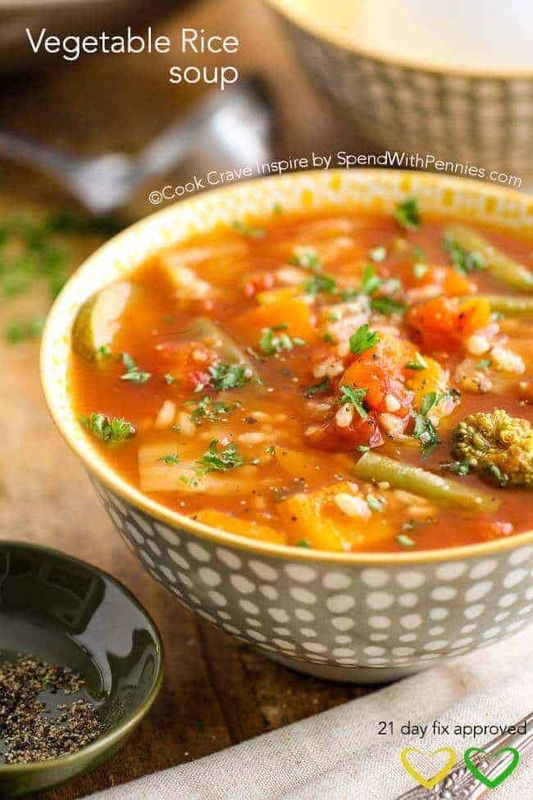 This soup is amazing regardless of what your goals are! 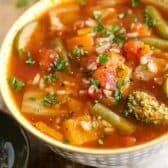 I always have a huge batch of soup in the fridge so I have a quick and easy go to lunch or snack. 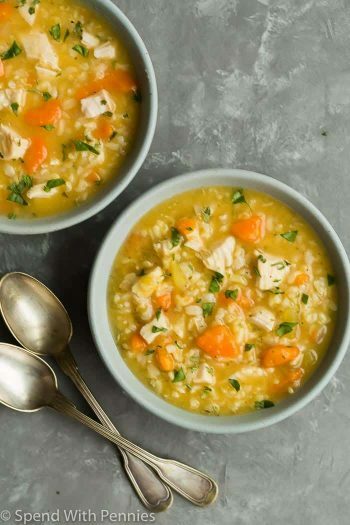 This soup is loaded with veggies and a little bit of rice for a delicious (21 day fix approved) lunch! 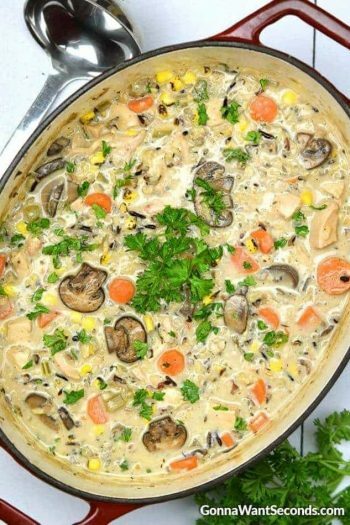 This soup also makes a great base for your leftovers! 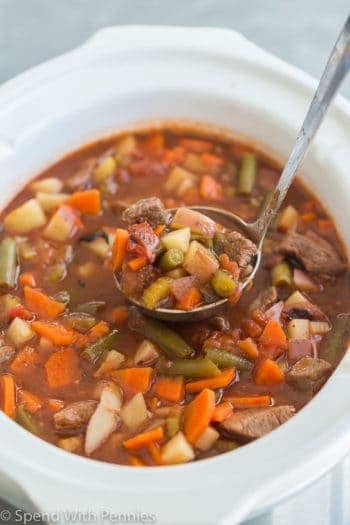 If you have any leftovers you can them to this soup for a quick and hearty meal. Meat, ground turkey or quinoa are perfect additions! If you haven’t heard of the 21 day Fix, it’s a weight loss program based on healthy eating (of real food), portion control and exercise (more information here). Since it’s January I have decided to kick off the new year with healthy eating and I will be sharing some of the 21 Day Fix program approved meals I am making! I count this as 1 Green and 1 yellow for a lunch that really fills me up! In a large pot cook onion, garlic, carrots, beans and cabbage over medium heat until slightly softened. 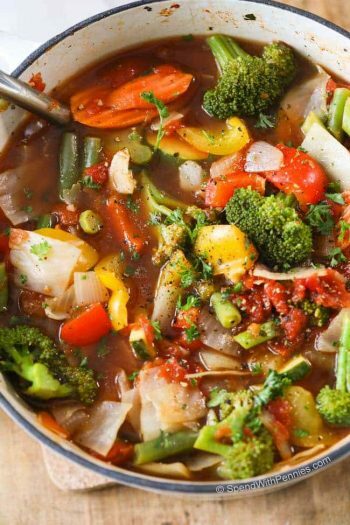 Stir in bell peppers, undrained tomatoes, broth, bay leaves and seasonings. Simmer 6-7 minutes. Add in zucchini or broccoli and rice and simmer an additional 5 minutes. Note: I sometimes add 1 tablespoon of tomato paste to boost up the flavor. It’s not technically 21 day fix approved however each serving would have 3/4 teaspoon which is approx 8 calories and 1.5g carbs. How would I convert this to a slow cooker recipe? 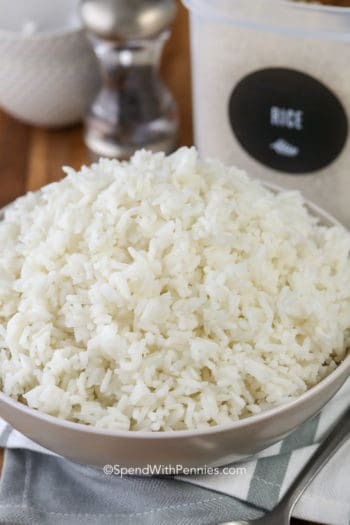 If you are cooking this in the slow cooker, I would suggest using uncooked rice. Add all ingredients and cook on high for 4-5 hours or until vegetables and rice are tender. Add the broccoli/zucchini in the last 60 minutes to keep it from getting mushy. I think I’m missing something! Instructions say to add beans but I don’t see beans in the ingredients?cant wait to try this- what beans should I add though? Thanks! The beans are green beans. They are the 5th ingredient on the list. Does this freeze well? I am wanting to make some extra to freeze for winter. Wondering if I need to change anything in order to freeze the soup. Yes, this freezes well. No changes required. Thank you Holly for the nice soup recipe. It won’t taste the same but I’m sure it will taste great! What is the serving size amount? The serving size is 1 cup. Love this soup. Thank you and have a great weekend coming up. I cannot WAIT to make this! My coach does 21 day fix and raves about it – maybe it’s time to try it out! 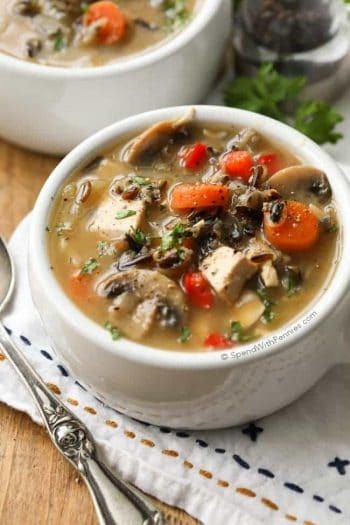 This reminds me of your Weight Loss Soup and I loved that one and love this one too! I always have soup in the fridge during the winter that I can heat up for an instant warm and healthy snack!